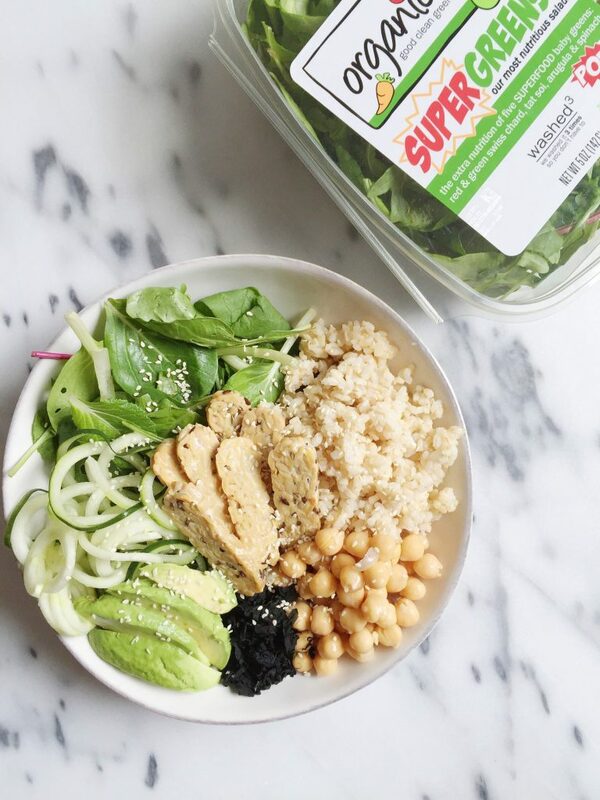 Nutrient packed Supergreens Macro Bowl to fuel you for lunch or dinner. I will not get sick, is all I keep telling myself. I am doing everything I can to prevent this. Apple Cider Vinegar shots, Beekeeper’s Naturals Propolis spray, and washing my hands every 5 minutes. BUT besides that I also need to fuel my body with good-for-you ingredients such as what is in this Supergreens Macro Bowl. Macro bowls provide us with a well-balanced meal of fats, carbohydrates and proteins. They are typically vegan and gluten free and focus on fueling use with whole and plant based foods. 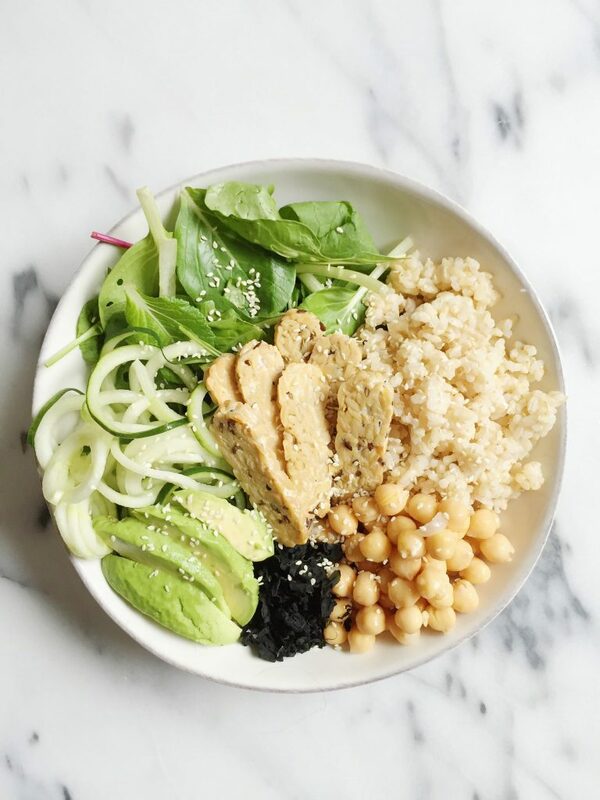 Some macro bowls have a variety of greens in them, mixed with grains like quinoa or brown rice, mixed with proteins from eggs, tofu, tempeh, etc. You can also add fermented foods in them as well. One of my favorite parts about macro bowls are the endless possibilities. Let this Supergreens Macro Bowl inspire you to make a bowl that YOU will love to eat. Also that means we won’t get sick of them as quickly since you don’t have to eat the same thing over and over again. For my Supergreens Macro Bowl, I used iloveogranicgirl’s Supergreens! mix that has baby red chard, baby tat soi, baby spinach, baby green swiss chard and baby arugula. it is the perfect mix for a macro bowl since it provides us with a handful of healthy greens all in one package, saving you time AND money! 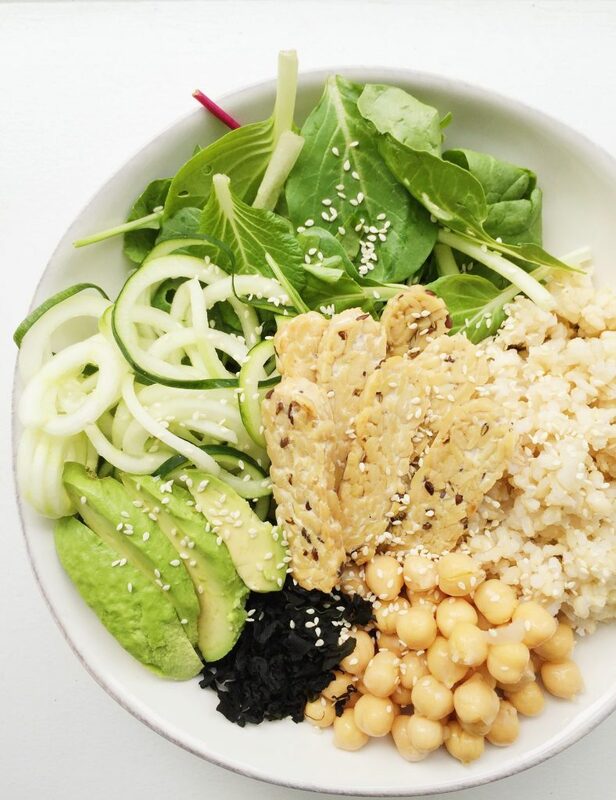 I also used brown rice, avocado, chick peas (low sodium if you can), wakame, cucumbers, tempeh and sesame seeds to make my Supergreens Macro Bowl. I didn’t make my own dressing since I either use hummus, olive oil or I buy one at the store. Tahini dressing is SO delicious in macro bowls by the way so I highly recommend it. You can prep macro bowls the night before and pack them for lunch at work (hello most perfect brown bagged lunch ever) and it will save you a ton of money then buying a macro bowl at a restaurant. 3 cups of organicgirl supergreens! What’s your favorite type of macro bowl? P.S. 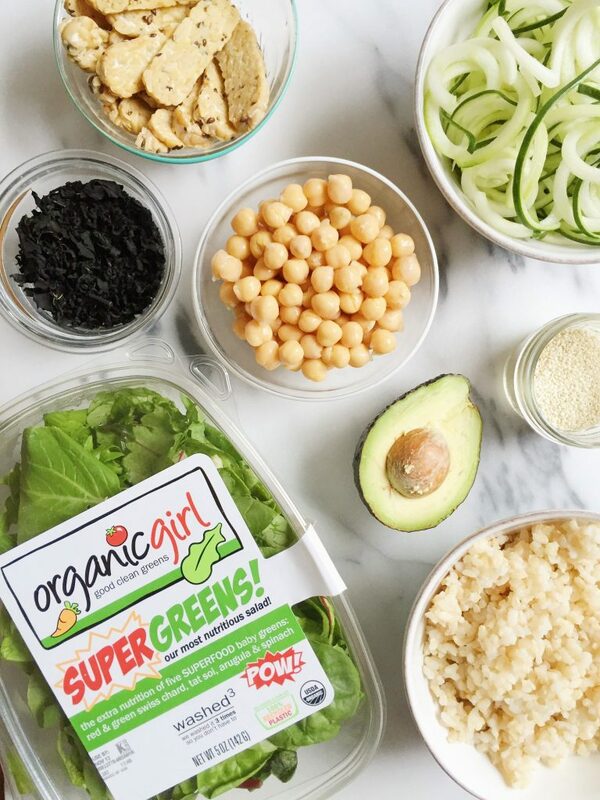 if you love iloveorganicgirl as much as I do, you will love my Fall Superfood Salad and my Pad Thai Salad. This recipe was sponsored by iloveorganicgirl but all thoughts and opinions are my own. YUM! I love macro bowls for lunches so I’ll have to try this out! I’ve had one with polenta and chickpeas that was delicious. Tempeh is the BEST! Everything in this bowl is my favorite…how did you know? I’ll have to swap zucchini for cucumber (for some reason I can’t handle cucumber) but I love the addition of Tempeh! YUM!